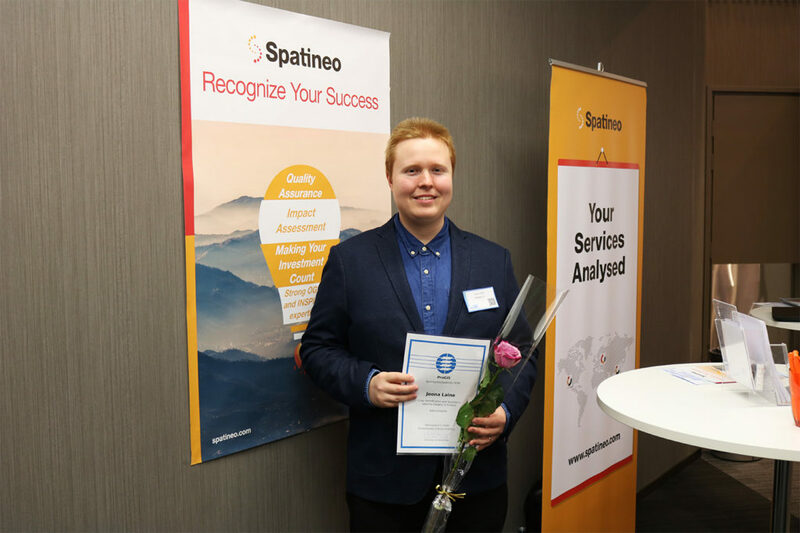 Joona Laine from Spatineo received honorary award from PROGIS for his great work on his master thesis “Crop Identification with Sentinel-2 satellite imagery in Finland”. Joona’s thesis received best possible grade from Aalto University. Professor Miina Rautiainen acted as supervisor and Spatineo’s Jaana Mäkelä as advisor for the thesis. “European Union member countries are obligated to control the validity of Common Agricultural Policy subsidy applications. Each member country performs manual inspection for at least 5% of these subsidy applications. This is both expensive and a considerable administrative burden. According to European Union, the crop type identification process in Common Agricultural Policy could be carried out using remote sensing or orthophoto imagery for an alternative to physical inspections by competent authorities. Automated crop type identification would reduce the costs Significantly. This master’s thesis addressed the crop identification with optical Sentinel-2 satellite imagery in Finland. The aim was to investigate whether it was possible to reliably identify the crop growing in land parcels by using machine learning classification methods. This thesis presented an automated approach of identifying crops. Multiple different machine learning classification algorithms were trained and tested to find out the most suitable processing method, time period and classification algorithm by utilizing the land parcels obtained from the Finnish Agency for Rural Affairs. Joona presented his work at the international INSPIRE 2018 Conference, presentation can be seen here, as well as in the GIS EXPO 2018 in Finland this week. More information about the thesis from Joona Laine.